The temporomandibular joint, or TMJ, is the joint that connects your jawbone to your skull on either side of your head. When a patient develops issues or complications with this joint it is known as temporomandibular disorder, or TMD. At Kalamazoo Smiles, our Kalamazoo TMJ dentist can diagnose temporomandibular disorder and help find the treatment option that works best for you. One of the main causes of TMD is stress, and many patients find that their discomfort level increases when they are more stressed than usual. Other causes of TMD include muscle strain, joint damage, joint inflammation or swelling, or the jaw joint disc being out of place. Some medical conditions and lifestyle factors may cause or worsen symptoms of TMD. A few symptoms of TMD are stiffness or pain in the jaw or neck, unconscious clenching or grinding of the teeth, jaw pain, headaches, or a clicking jaw. If you’ve experienced any of these symptoms, talk to our Kalamazoo dentist about the possibility of TMD. After discussing your medical history, our dentist will examine the area, focusing on your jaw and neck. In some cases, our team may recommend an x-ray to rule out other issues. After this, we will be able to recommend a TMD treatment plan. Our dentist will recommend a TMD treatment plan based on your individual needs. Our aim is to relieve your TMD pain, reduce any muscle or joint stiffness you may encounter, and restore the full function of your jaw. TMD might be painful, but with proper treatment you can fully manage your condition. 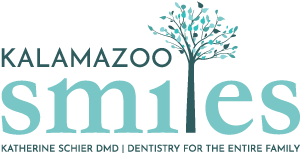 If you have experienced symptoms that may be TMD, contact the Kalamazoo, MI dentist at Kalamazoo Smiles for a consultation, or call (269) 353-3700.